ESPNA Rubin Kazan soccer player has reinvented the penalty kick. The penalty kick has just been reinvented in Russia. 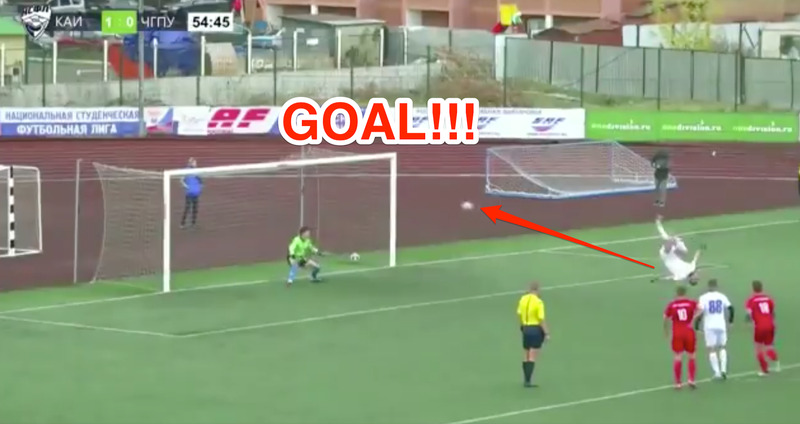 A Rubin Kazan soccer player scored the most creative and utterly wild penalty kick. 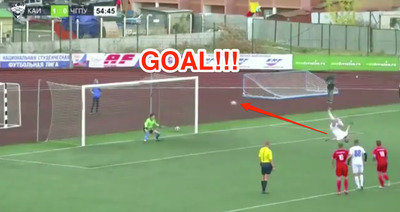 A soccer player in Russia has reinvented the penalty kick. Norik Avdalyan, who plays for Rubin Kazan in the National Student League, scored the most creative and utterly wild penalty in the 55th minute of his team’s match against Cheboksary on Sunday. Avdalyan took a five-step run-up and performed a backflip as he struck the football. The confusion had the Cheboksary goalkeeper rooted to the spot, seemingly powerless as the ball rifled into the top corner of the goal. The goal was Rubin Kazan’s second of the game. It went on to win 4-0.